Our first Summer Party took place three years ago and it was certainly one for the books. That perfect formula of great wine, music and a barbecue in the sunshine is hard to beat and we’ve been searching tirelessly the past few years for a suitable location for the sequel. In what has seemed like an endless summer, London has been blessed with the arrival of Giant Steps in Hackney Wick. Brothers Amit and Aneesh Patel, the minds behind London’s best music venue, Brilliant Corners, have taken over a large terrace and warehouse right by the canal and instilled their passion for great food, drinks and music into this wonderful space. On Sunday 2nd September from noon we’ll be hosting our Summer Party on the terrace at Giant Steps. We’ll be pouring our favourite wines for drinking in the sunshine and have invited our good friend Tim Spedding (ex Coombeshead Farm, P.Franco and The Clove Club) to look after the barbecue. Tim will be serving things like Sourdough Flatbreads with Stracciatella & Le Coste Olive Oil, Grilled Squid with Hot & Sour Sauce, Whole Cornish Mackerel & Roast Tomatoes and Dexter Onglet, Fried Peppers & Green Sauce. 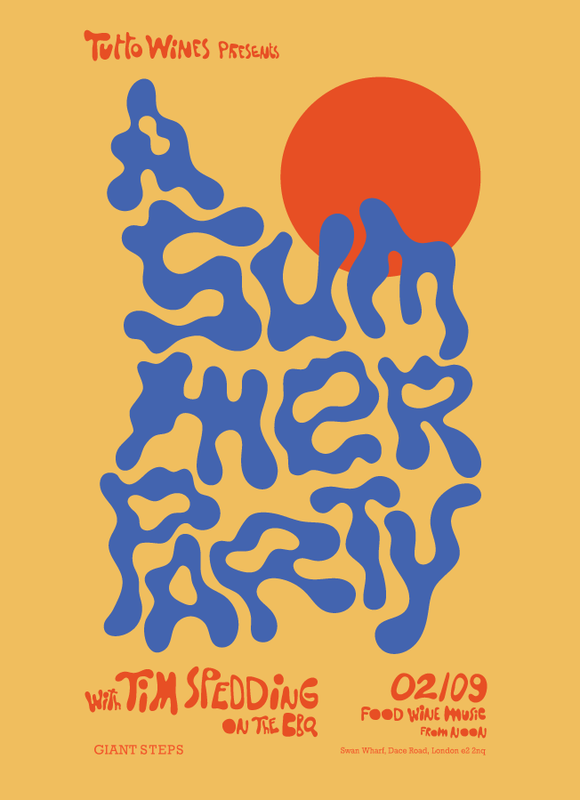 A great party needs music and our friends Jonny and Gustave will be playing records on the terrace all day long, before the party moves upstairs to the warehouse space and it’s wonderful sound system where you can dance away what remains of the day. So please save the date, tell your friends and don’t let the long, hot summer pass you by.